You may remember last spring when I introduced you to the Essential Oil Recipe Box. 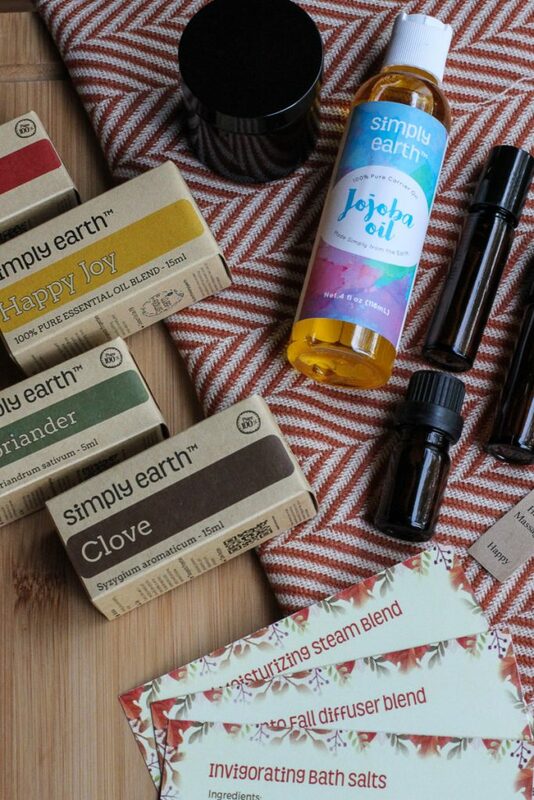 It’s a monthly essential oil subscription box from Wisconsin-based company, Simply Earth. Well, now that summer is winding down and we’re spending a little more time inside this month, I thought I’d remind you about my favorite way to learn about essential oils. You can’t beat hands on learning and that is exactly what the Essential Oil Recipe Box is all about. Be sure to check out the bottom of this post for a Simply Earth discount code for a $40 gift card with your first Essential Oil Recipe Box order! This month’s theme is Autumn Spa and features four essential oils: Clover Bud, Coriander, Neroli, and their Happy Joy blend. I can’t lie, I was really excited to receive this one. I have been learning different uses for essential oils over the last year, but spa-like products are still my favorite way to use them. I’ve really enjoyed making my own body moisturizer (it’s so easy!) and soap. However, I haven’t ventured much beyond using tea tree, lavender and frankincense essential oils on a weekly basis. 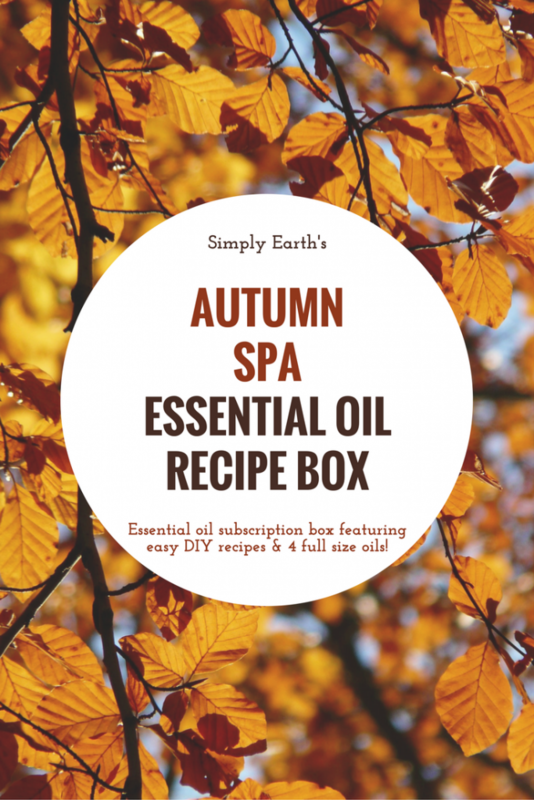 Enter the Essential Oil Recipe Box! These boxes come with everything you need to create 5-7 recipes (products) with their four featured oils for the month. Not only do you walk away with some fun new products to use but you also gain the confidence to incorporate essential oils into more parts of your life. 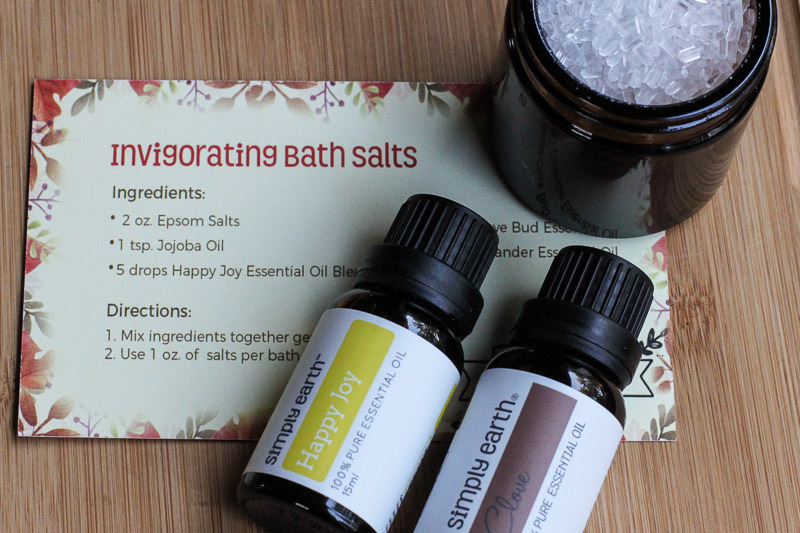 Over the weekend, I made two uplifting and happy roll-ons (which are the perfect size to stash in a work bag) as well as bath salts and a facial moisturizing steam blend. The bath salts are an example of why I love these recipe boxes. Not only was the recipe easy to make, but now I understand the ratios of essential oils and epsom salts, so I can create my own blends in the future! I also loved using the facial moisturizing steam blend because it’s not something I would have thought of and for a minute I felt like I really was at the spa! The Essential Oil Recipe box is $39 and makes a thoughtful gift or treat for yourself! Simply Earth donates 13% of their profits to organizations committed to ending human trafficking. Learn more about their cause and the organizations they support. Ready to order your own Essential Oil Recipe Box? Add the recipe box to your cart, enter your email address and use discount code: THEWILDGUTFREE to receive a $40 gift card with your first Essential Oil Recipe Box*. The $20 gift card will be emailed to you after you place your order. Plus, you’ll receive a FREE BIG BONUS BOX a carrier oil, a hard oil (like shea butter), beeswax, and containers. *Alternatively this code can be used for a free oil ($10 and under) with any purchase. To get the free oil, choose the oils that you want then type the code THEWILDGUTFREE and enter your email. IMPORTANT: DO NOT INCLUDE THE SUBSCRIPTION BOX. It will then take off $10 from the total amount. 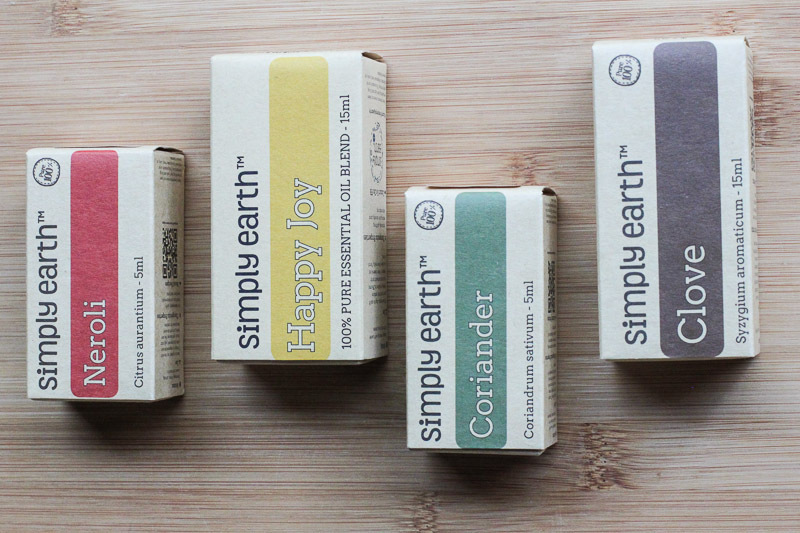 I’m a proud Simply Earth Ambassador and receive a small commission when you place an order. Thanks for supporting The Wild Gut.